I’ve been queuing up a series of walks – mostly about 10 km (6 miles for us colonials), and this is the first. 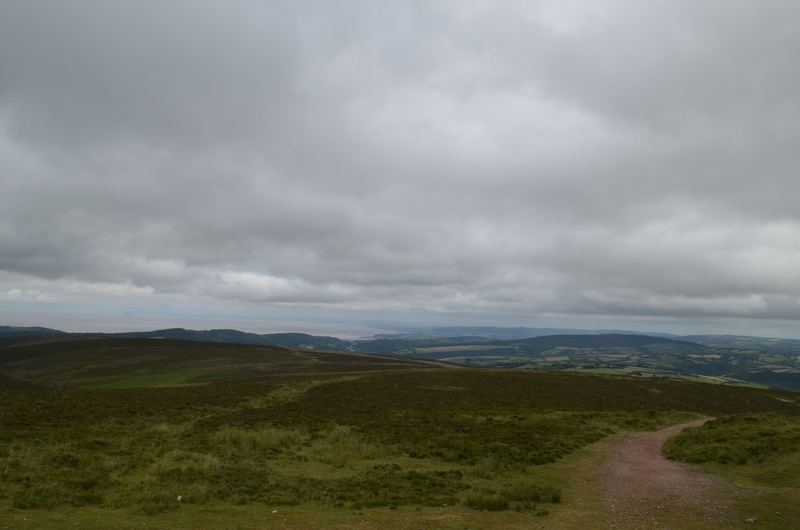 Dunkery Beacon is the tallest peak in Exmoor. We’d hired a house in Wootton Courtenay which is at the base of the peak, but if you’re driving there are other places to start from. I would probably park at Webber’s post where there is a large parking lot, but no post. We managed to arrive just after a heat wave; 32-35 is no fun without aircon. 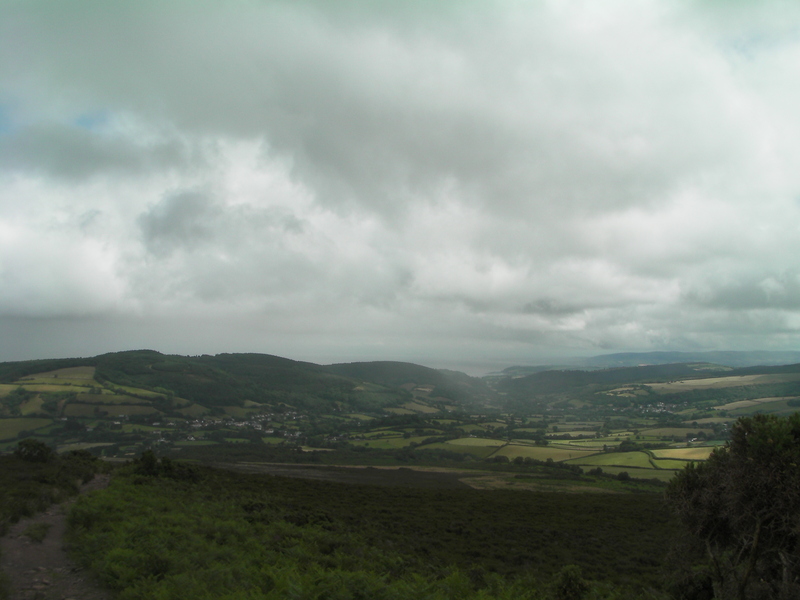 It was typical English summer weather; i.e.raining and cold. 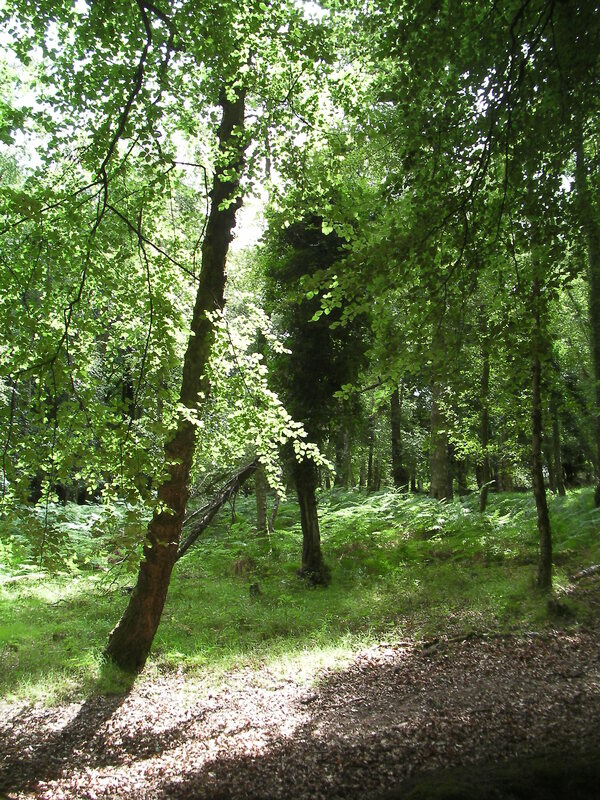 The trail proper starts in a lovely grove of trees and then ascends a moderate slope. Of course we started in the sun, but that was not to last. 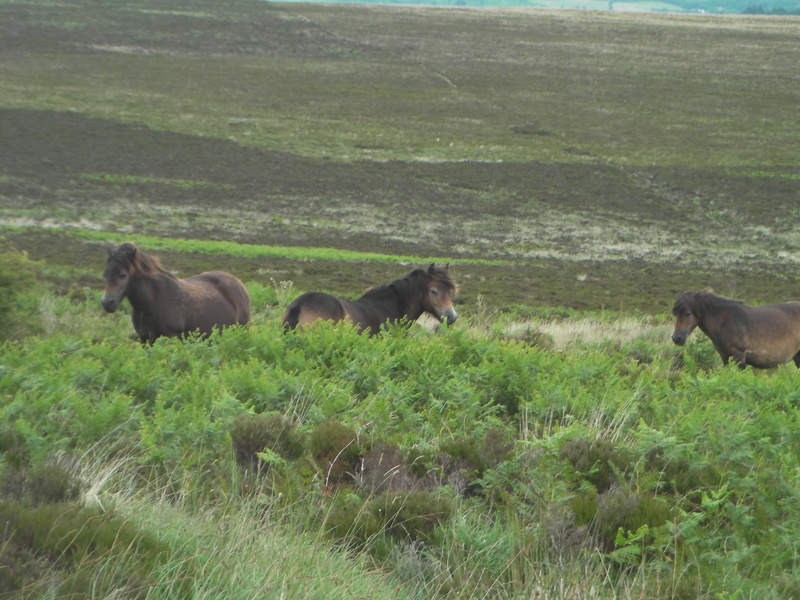 We passed the ponies several times – this shot being on the way up. These preferred Bracken to handouts, which was a relief. 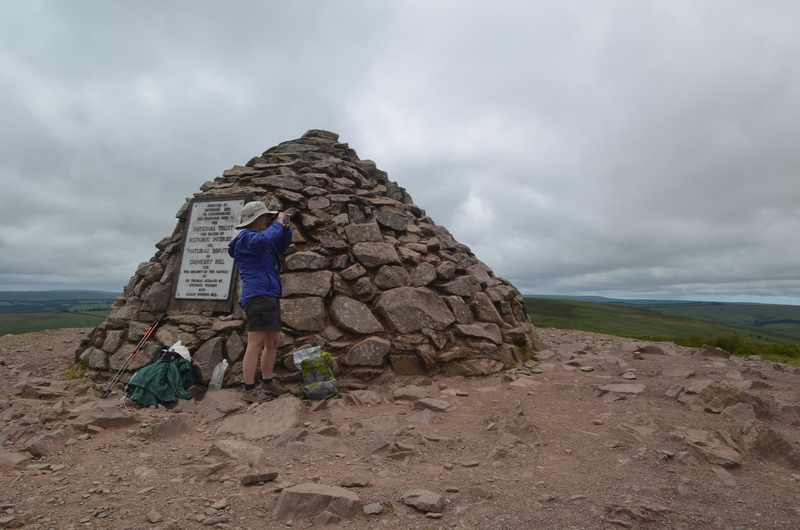 The top is marked by a cairn. We used it to shelter from the wind while eating lunch. This shows the path up the hill. 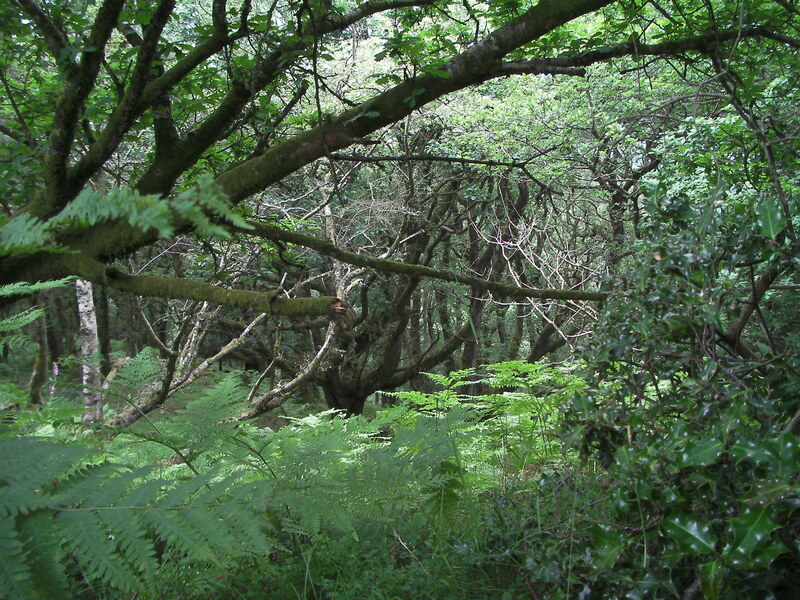 We followed a steep descent part way down the hill and made our way through delightfully pretty woods (Rowan and Holly so we were doubly safe from the foul spirits of the undead) to Webber’s post, and back to our house. 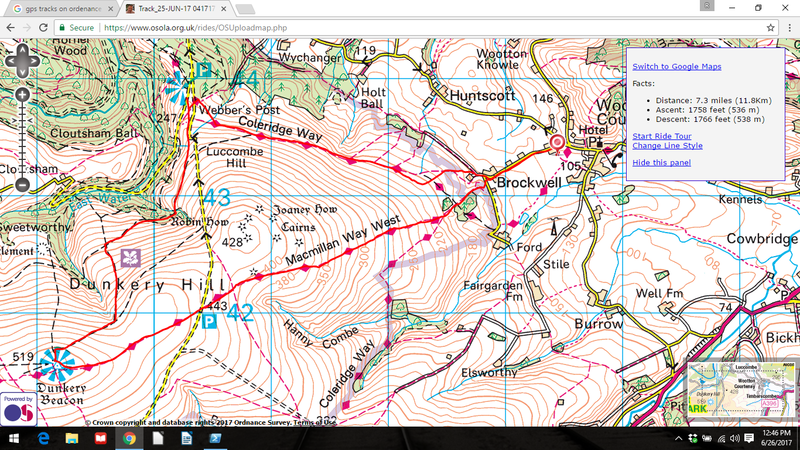 If I started from Webber’s post I’d go across the hill and up the way we did rather than the other way around. Of course, then the weather cleared. 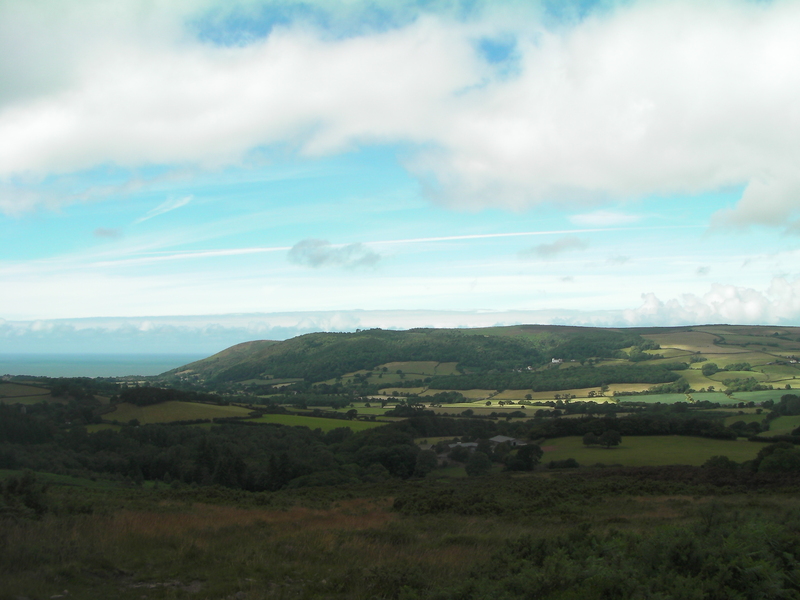 The view from the Timberscoombe trail. Previous Previous post: Sunday Snippet, Let us give thanks.